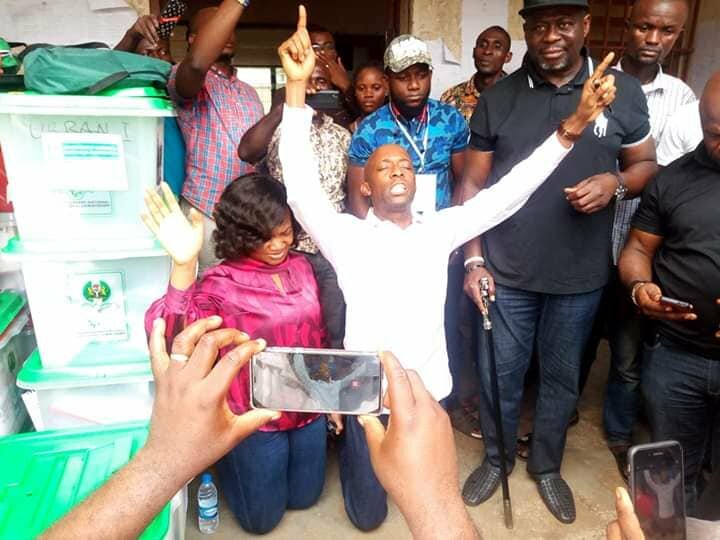 The speaker of the Akwa Ibom State House of Assembly, Mr Onofiok Luke, a PDP candidate running for the Etinan federal constituency in the House of Representatives, has been declared winner by the Independent National Electoral Commission (INEC). Luke, a law practioner and two-term member of Akwa Ibom State House of Assembly, representating Nsit Ubium State Constituency, polled 44,830 votes against his closest rival and former member of the House of Representatives, Mr Dan Akpan, of the APC who scored 15,800 votes. Addressing his supporters on Sunday after being declared winner by officials of the electoral commission in Etinan, Luke assured the people of his readiness to offer them a voice which they can depend on in the National Assembly. Accompanied by his wife, Uduak, his campaign director, Mr Anietie Etuk, and the state PDP chairman, Obong Paul Ekpo, Luke thanked his supporters for their sacrifices and their support during the election, saying he would justify the confidence reposed in him by the masses. While dedicating his victory to God, his family, the PDP and myriad of other supporters, Luke noted that he enjoyed bipartisan support across the three local government areas making up Etinan Federal Constituency. Luke, 40, has been seen as the next governorship candidate of the PDP in 2023 when the governorship rotation returns to Uyo senatorial district of which Etinan federal constituency is part. He was one of the few key PDP personalities who publicly stood by Governor Udom Emmanuel when Senator Godswill Akpabio defected to the APC with some PDP bigwigs. On several.occasions, Luke had declared that he wouldn’t mind forgoing his House of Representatives ambition for Emmanuel’s second term governorship ambition. The speaker, who has been lead sponsor of 18 private member bills, six of which have been passed into law, has promises to bring his experience to bear in the House of Representatives. Etinan Federal Constituency, which is going to represent, is made up of Etinan, Nsit Ibom and Nsit Ubium Local Government Areas.